Ubisoft will release Far Cry 5 downloadable content “Hours of Darkness” on June 5 for $11.99 or as part of the Far Cry 5 Season Pass and Gold Edition. 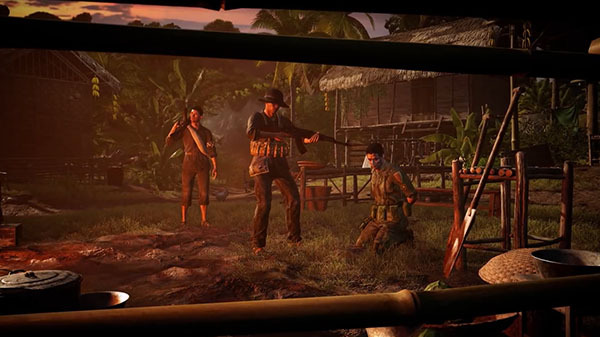 In addition to the downloadable content, all Far Cry 5 players will have access to new Vietnam-themed assets in Far Cry Arcade starting today with the release of Title Update #6. Vietnam Update map builders will be able to integrate these assets into their existing maps or create new maps focused on the “Hours of Darkness” theme. All future add-ons will also include thematic assets that will be added to Far Cry Arcade for free. The remaining two Far Cry 5 downloadable content adventures—“Lost on Mars” and “Dead Living Zombies”—will launch in July and August, respectively, and two additional asset drops will give map builders more tools to create unique Far Cry Arcade experiences. Far Cry 5 is available now for PlayStation 4, Xbox One, and PC. Watch a trailer for “Hours of Darkness” below.